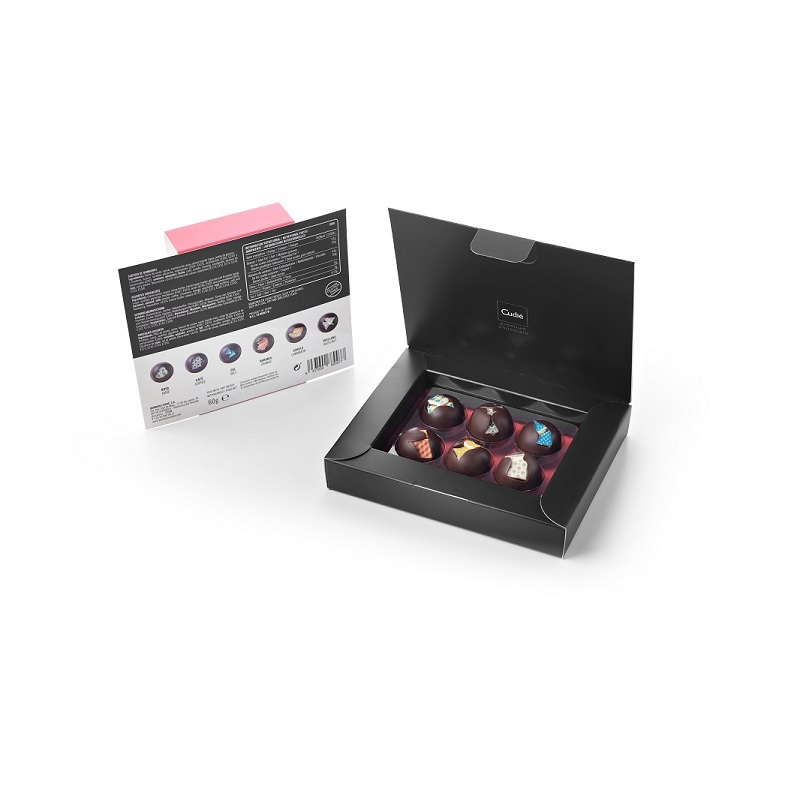 Assortment of artisan chocolates made ? ?with original ingredients. A visually stunning collection inspired by a subtle blend of Modernism and the Mediterranean. Each unique mediterranean tile decorates the finest chocolate curated with delicious flavors: rose, coffee, sea salt, orange, cinnamon and hazelnut. Ingredientes: Cocoa paste, sugar, cocoa butter, liquid sugar (water, glucose and fructose syrup, sugar, sorbitol, glycerine, thickeners (E407, E415), acids (E330, E332) and preservative (E202)),hazelnut, almond, milk powder, coffee, cinnamon, orange, emulsifier (soy lecithin), salt and flavouring. Decoration <0,5% (cocoa butter, colours (E172, E132, E171, E133, E153, E120)). GLUTEN FREE. 60grs = 6 units of Xocolates.